Gina and I reached New York on Saturday. After checking into our hotel, we wandered the streets of the city, walking from our hotel -- at 34th and 8th Avenue -- down to various toy stores in the 4th and 2nd Avenue area. We poked around in the Kidrobot store, a great little second floor shop known as Toy Tokyo, and eventually made our way to Forbidden Planet -- where we spotted pink Chibithulhus in their native environment. Hello again, Chibithulhus! After about six or seven miles of walking, and a great dinner, we worked our way back to the hotel and crashed. Sunday was the first day of the show and was our first chance to meet with Ross Jepson. The original plan was for Ross to fly from Austin to New York with us but various airline delays resulted in Ross spending Friday night in Chicago and arriving in New York on Saturday. Our plan may have been changed, but it all worked out in the end and Ross was given great treatment by the airline so that's good enough for us. 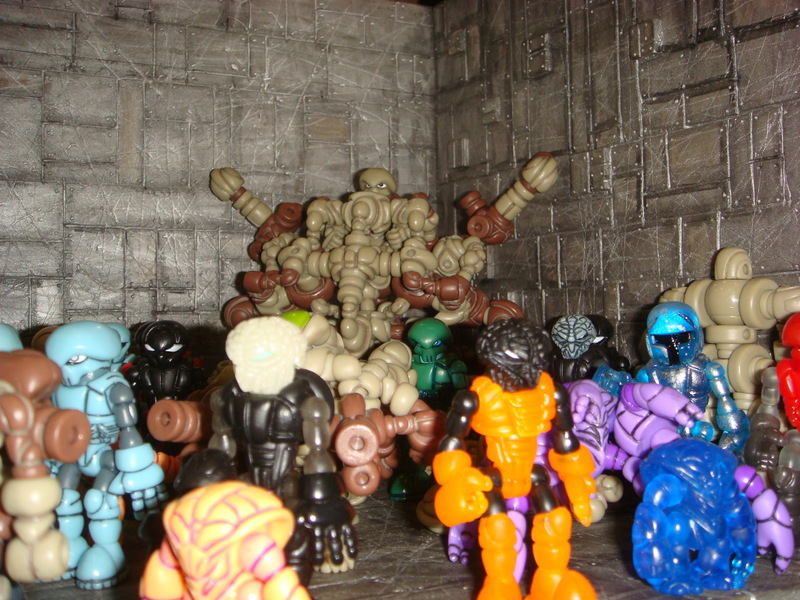 Met Matt Doughty, the creator behind Onell Design and his awesome Glyos System toys. I first encountered these designer action figures about a month ago and since that time I've picked up several different pieces in the series. Matt's extremely friendly, loves to talk, and is going to be a great source of advice on working with Chinese factories. Drooled over the foam board robot kits from www.microrobotusa.com. With both humanoid robot and dinosaur robot models, these foam board toys -- complete with ball joint articulated limbs and weapons -- make the plastic styrene constructible pirate ships, space ships, and cars look like pre-school craft projects. 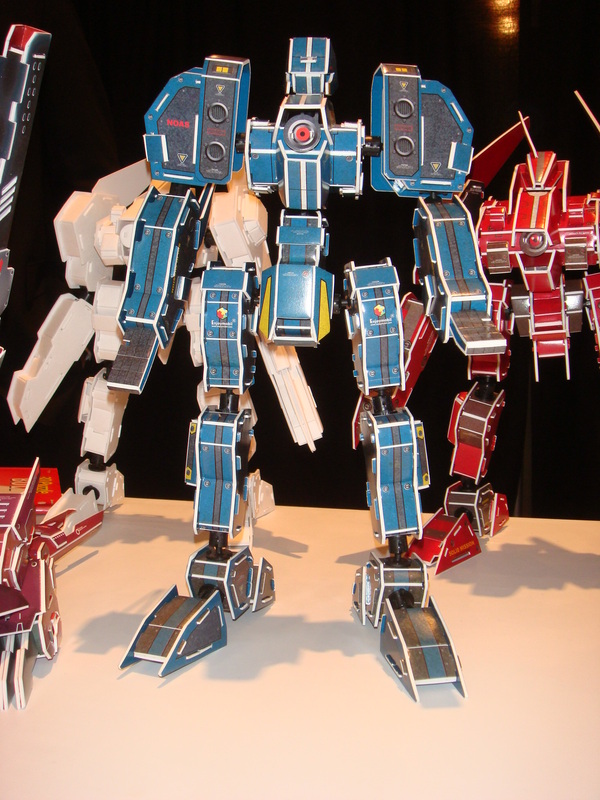 And standing over 12-inches tall, these foam board robots would make amazing pieces in a game. If only there were a game . . . Chatted with the guys at Shocker Toys and got a look at their upcoming The Maxx figure. Their Shockini figures are another toy that really wishes it could be part of a game. At the end of the day Gina and I went to dinner with Ross. 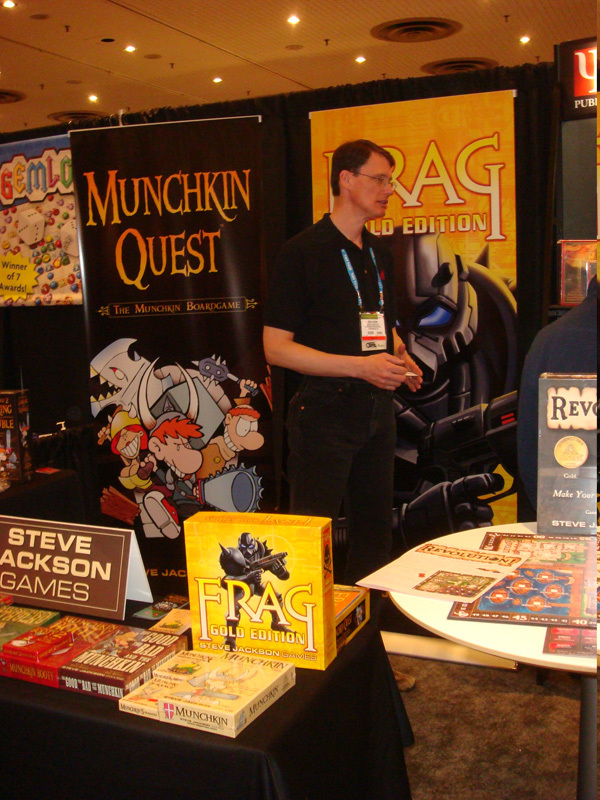 We discussed product plans for 2009, including the recently-completed schedule, and spent time going over ideas for 2010. Overall it was a great first day. Now it's time for me to get ready to head out for breakfast and then back to the show for the four-hour child safety seminar which, if the buzz around the convention center can be believed, is going to be the most attended event at the show. It should be educational and, if I'm lucky, not too boring.